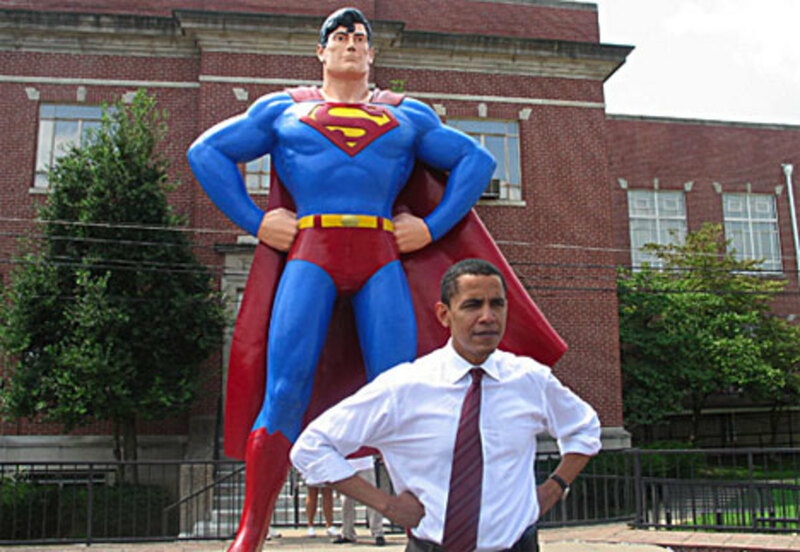 Obama&apos;s fundraising was Super, Man. Sen. Barack Obama raised at least $25 million for his presidential campaign in the first quarter of the year, putting him just shy of Sen. Hillary Clinton, the Democratic frontrunner, who made a splash with her announcement Sunday that she had drawn a record-breaking $26 million. Obama (D-Ill.) appears to have surpassed Clinton in several ways: He raised $6.9 million through donations over the Internet, more than the $4.2 million than Clinton (N.Y.) raised online. He reported donations from 100,000 people, double the 50,000 people who gave to Clinton. It&apos;s also notable that the top three Democratic candidates - Clinton, Obama, and Edwards - have raised a total of $65 million. The Republican top 3 raised about $50 million (and a little less than half of that was Mitt Romney, a candidate in the single digits). Obama '08: Are We On The Cusp?